What are those on my blouse, you ask? They are lips! I have been wearing Valentine's Day outfits everyday this week and it is so much fun! I love how the lips are quite subtle, you can't tell what they are until you look closely. 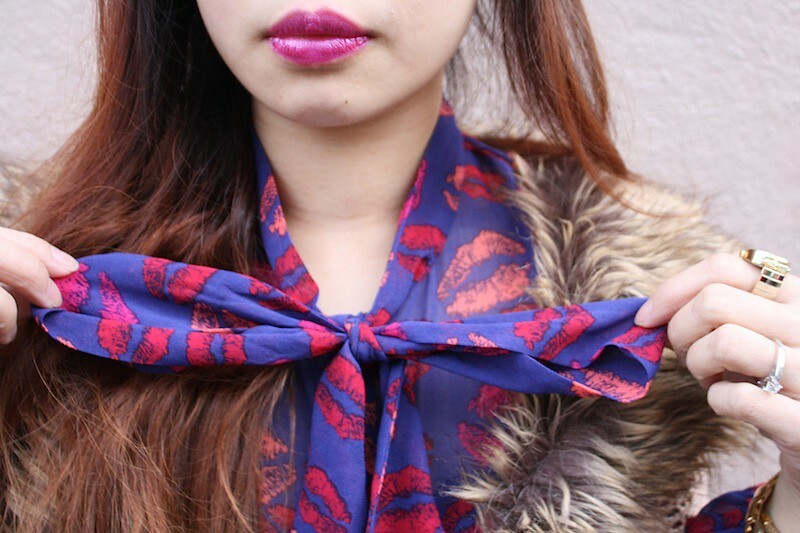 I also love the ascot bow and the contrast of pink and fuschia on a cobalt blue background. I feel like I am truly mixing and matching here with all these different patterns, textures, and colors! Lip prints, fur collar, crochet knit, leather shorts, ultra bright neon bag, and chunky JC Tardy. Oh, and "Bright Like Neon Love" by Cut Copy is one of my all-time favorite album... thought the title was perfect for this outfit. 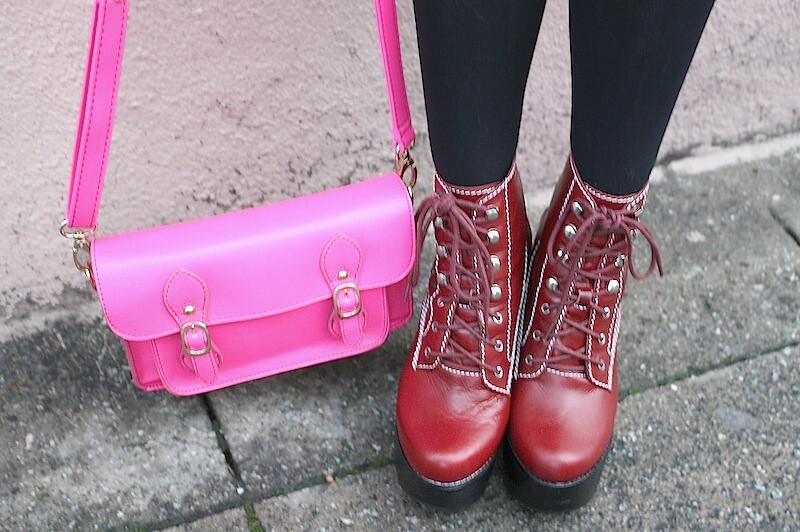 Jeffrey Campbell Tardy in red from Eilatan. 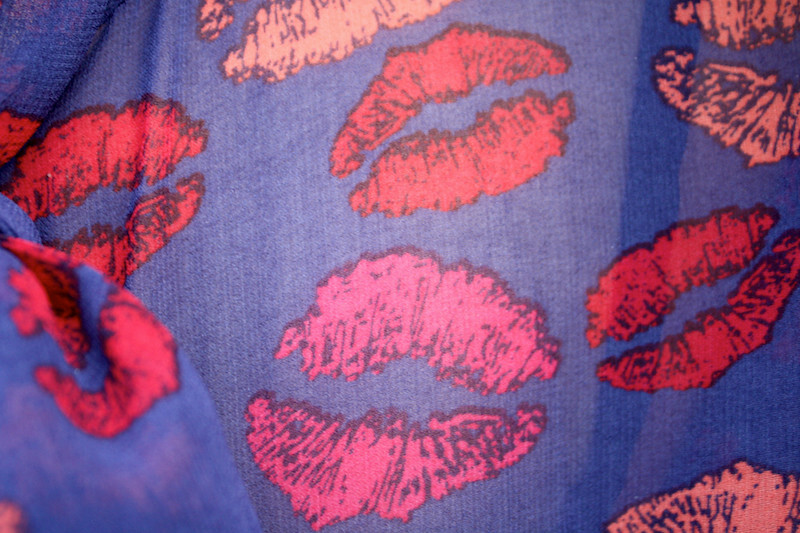 Lip print chiffon blouse from F21. Crochet knit cardigan with fur collar from F21. High waisted leather shorts from F21. 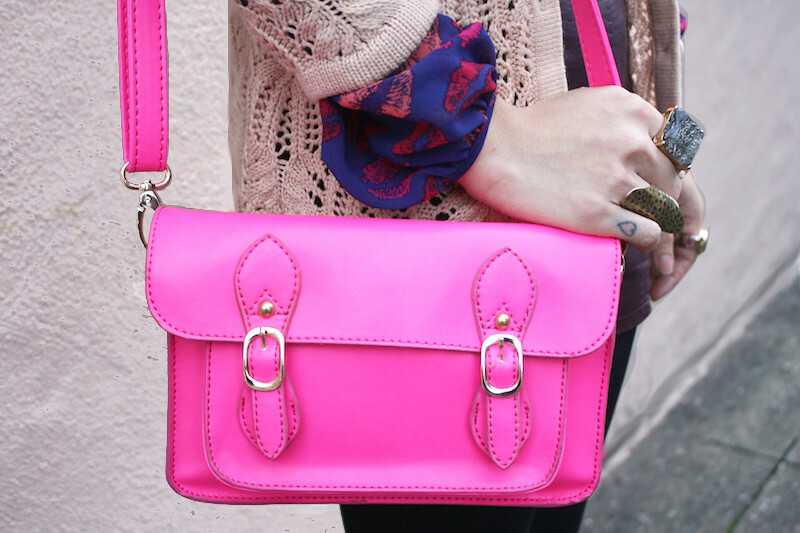 Neon pink handbag from my work Sway. Vintage gold woven bracelet and gold mesh bracelet from Etsy. As always such a great outfit!! Hahahaha, this outfit is so much fun! I love mixing & matching, myself!